In the past week, the authorities have escalated their targeting of protesters in Duraz. The number of individuals summoned and arrested over the past week has substantially increased. 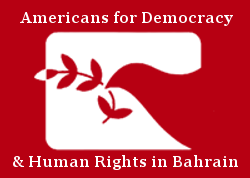 We strongly condemn the Government of Bahrain’s violation of the protesters’ right to peaceful assembly and we raise concerns over the safety of the remaining protesters at the Duraz sit-in. The authorities have launched a mass campaign of summons and arrests over participation in the Duraz sit-in. Since the beginning of August, the BCHR has documented 73 summons, including 44 Shia clerics and religious singers. The majority were kept in detention overnight before being presented to the public prosecution. Moreover, the public prosecution has remanded at least 23 of them to 15 days in detention over charges of participating in illegal assembly. Among them are well-known clerics and activists. This is believed to be a form of intimidation to prevent people from exercising their right to free assembly. Several of them reported being asked to sign a pledge not to participate in the sit-in. The complete number of those summoned and detained is suspected to be much higher. On 8 August 2016, the trial of Sheikh Majeed AlMeshaal, the head of the dissolved Ulema Council, has hastily commenced. His lawyer was not informed of the timing of the trial. It was postponed to 17 August 2016. On 30 July 2016, security forces raided the house of Sheikh AlMeshaal. The public prosecution charged him with allegedly persisting in inciting others to disobey the law and over his participation in an illegal gathering. Sheikh AlMeshaal actively participated in the sit-in in front of Sheikh Isa Qasim’s house. He was summoned several times since the start of the sit-in on 20 June 2016.